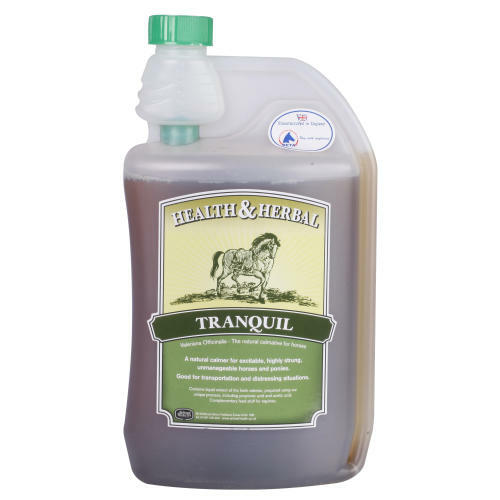 Health & Herbal Tranquil Horse Calming Supplement is herbal liquid supplement which is prepared from the root of the valerian plant. It has a natural calming effect without removing competitiveness. Particularly effective immediately prior to stressful or demanding activities, such as training or transport.